The remainder of the money will be used to make the light system across the city “more controllable in terms of utilising the latest technology”, says the council in a statement. Senior councillors want to make the lights upgrade part of their ambitious “smart city” network plan and that it’ll save £3.4 million a year in electricity costs. 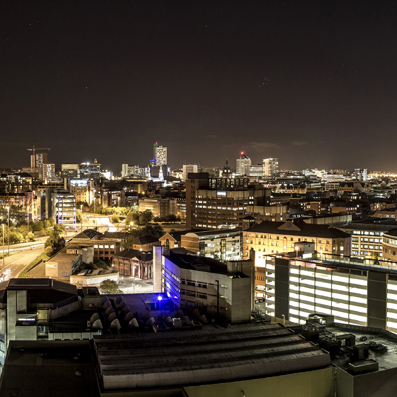 Leeds City Council executive member for regeneration, transport and planning Councillor Richard Lewis said, “Having listened to what people told us and weighing up the costs and benefits, there is now a clear case for upgrading all streetlights in the city to more energy-efficient LEDs. “With energy costs expected to rise, this is one area where we can make huge savings in cost and energy use, and it will pay for itself in ten years. “There’s also potential for future savings because we’ll be able to do things like dimming street lights from a distance away. “It also gives us an opportunity to utilise the latest technology as part of our commitment to innovation and being a Smart City, so the lighting system can be controlled and maintained at a distance in response to events, again improving efficiency and saving money.